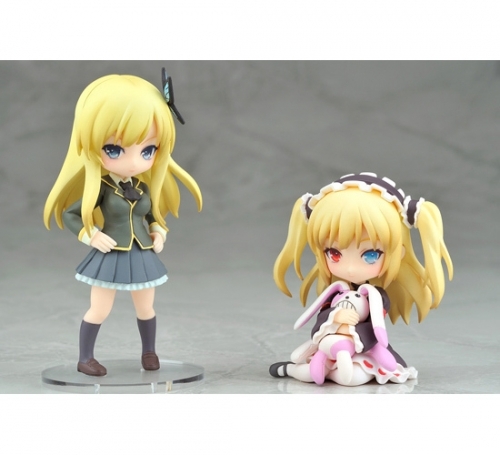 » Stuff I Want: Kobato & Maria Catgirls うぐぅ～! Also opened up for pre-order, and a lot cheaper at ¥1860, this cute set of Kashiwazaki Sena and again Kobato by Phat Company, as companions to a similar set with Mikazuki Yozora and Maria that opened op for pre-order last month. No scale is given; the standing Sena is 9 cm tall, and Kobata 6 cm. All photos taken from Hobbystock.jp.